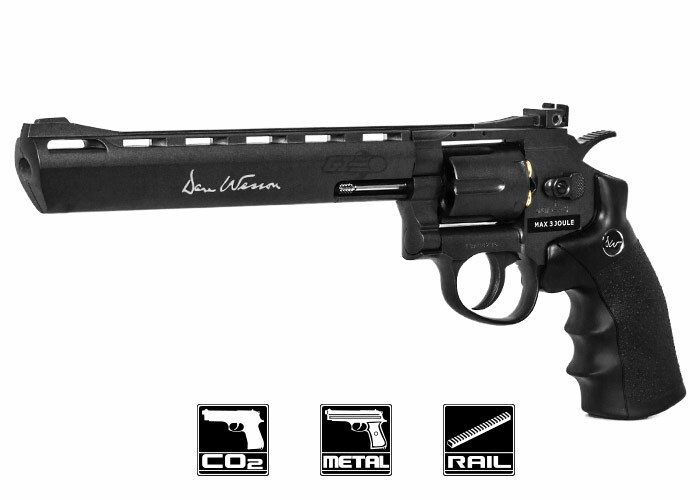 If you are looking for a functional and great-looking airgun revolver, there are few better choices ASG Dan Wesson 8" CO2 .177 Pellet Revolver Airgun. From accuracy to appearance, this airgun embodies quality and innovation at every corner. 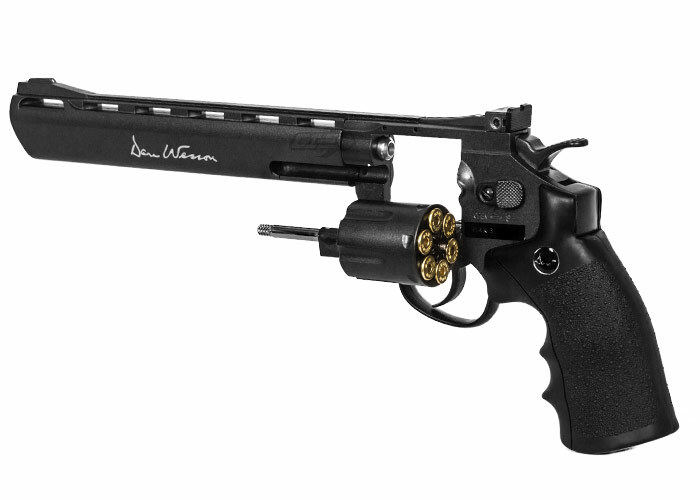 The ASG Dan Wesson 8" Co2 .177 Pellet Revolver Airgun (Black) is one of the new generation of Dan Wesson airguns with a rifled inner barrel, which allows for the use of pellets. This improves both range and precision. It has authentic markings and an individual serial number stamped into the frame, giving it a nearly-identical appearance to a real Dan Wesson revolver. This airgun revolver also features a double-action trigger system and adjustable rear sight for extra realism and accuracy. 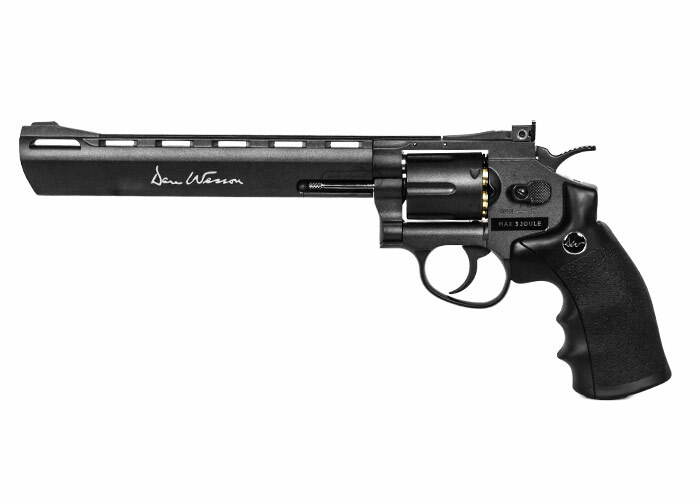 Made entirely of metal except for its ergonomic grip, which is constructed from hard ABS plastic, the ASG Dan Wesson 8" Co2 .177 Pellet Revolver Airgun (Black) is also as durable as the real thing. The 12g CO2 cartridge is stored in the ABS grip and is easily accessed by sliding the grip back, easy-load style. 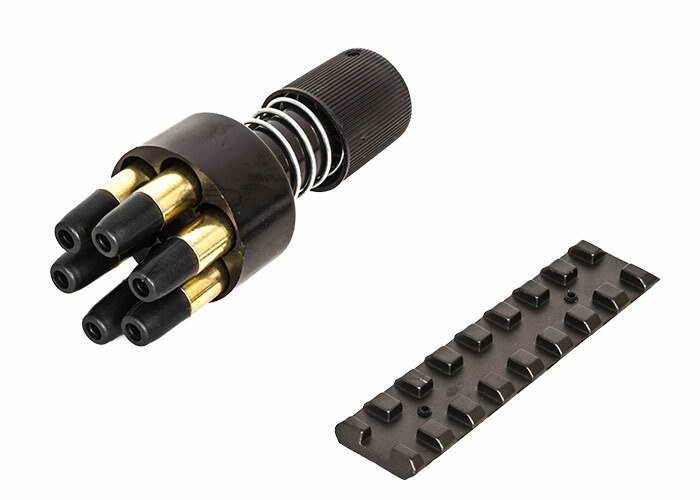 Each of the 6 cartridges holds one 4.5mm pellet and is placed in the metal cylinder that rotates as each round is fired. 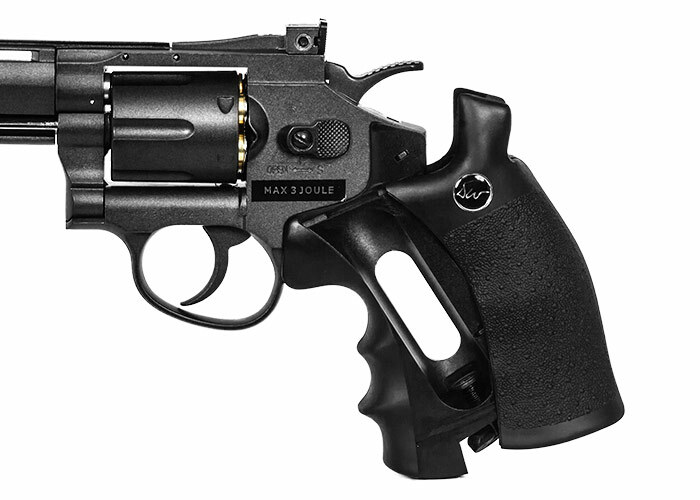 The revolver comes with an attachable rail for optics and 6 heavy-duty all-metal cartridges. 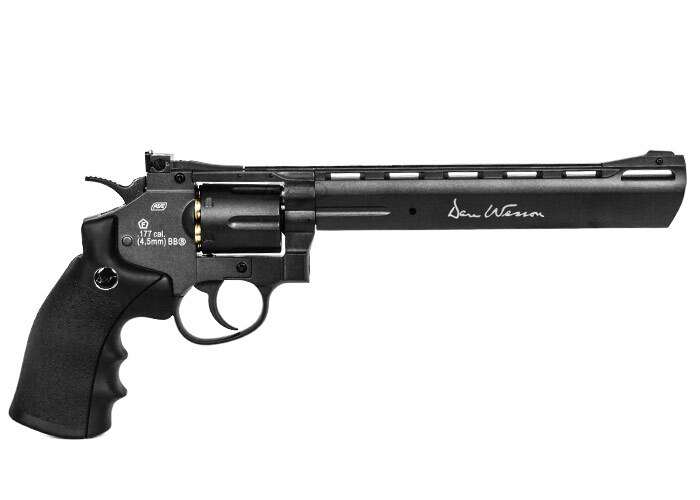 In terms of performance, comfort, durability and authentic appearance, ASG Dan Wesson 8" CO2 .177 Pellet Revolver Airgun is simply unrivaled in the airgun industry. 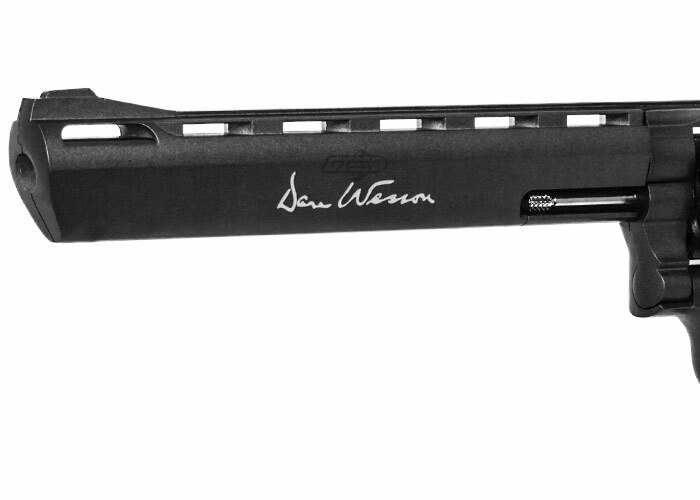 Superior to airgun that can aren't pellet-compatible and designed with incredible attention to detail by the engineers at ActionSportGames, this is a Dan Wesson 8"-barrel pellet gun that can't be overlooked. Add one to your arsenal by ordering here at Airsoft GI today!